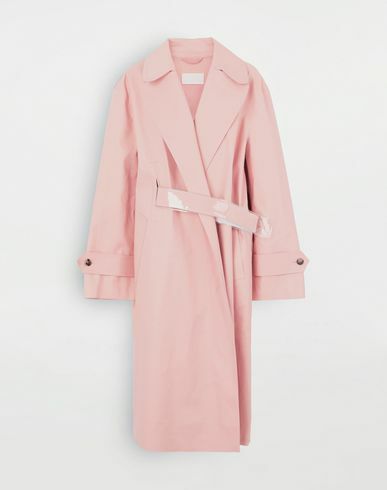 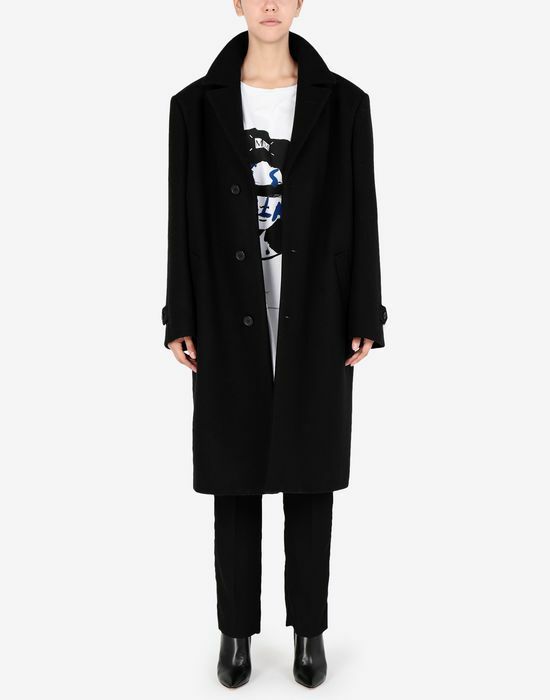 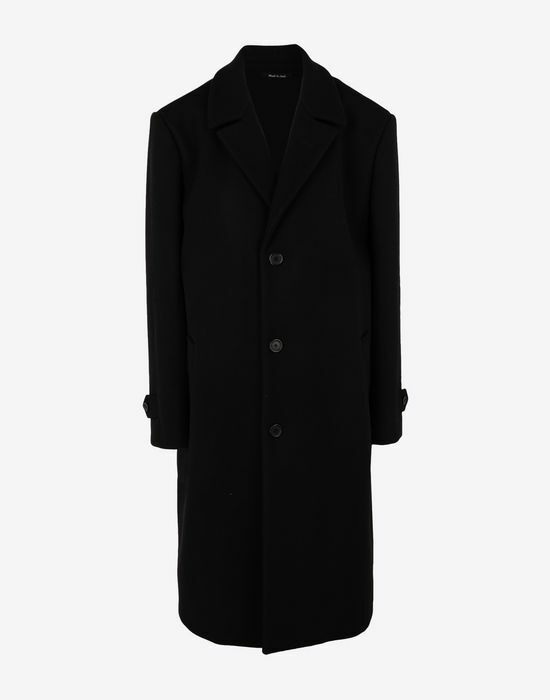 This oversized overcoat subverts classic tailoring. 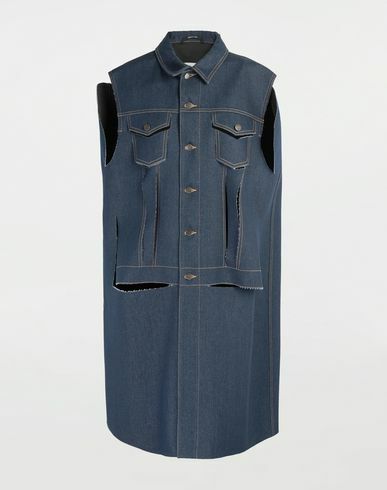 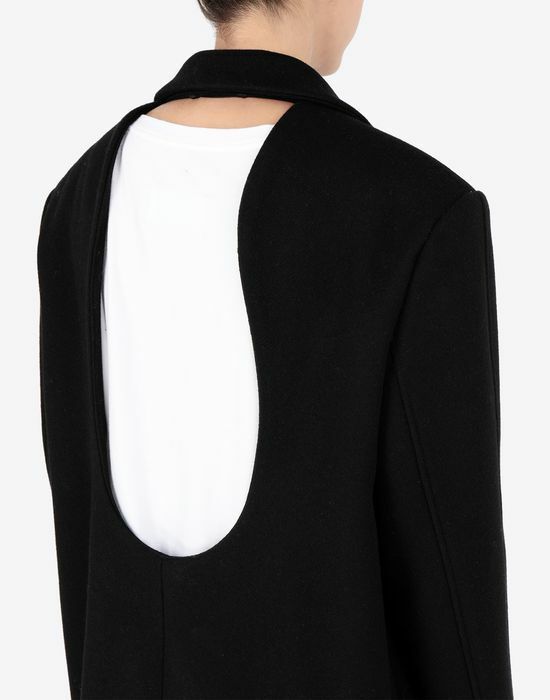 Featuring a large oblò on the back, the outerwear piece falls just below the knee and can be styled with knitwear or an evening gown. 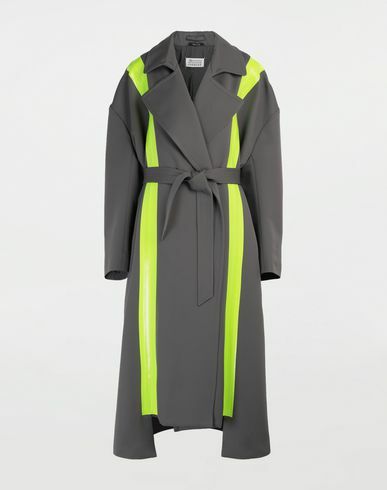 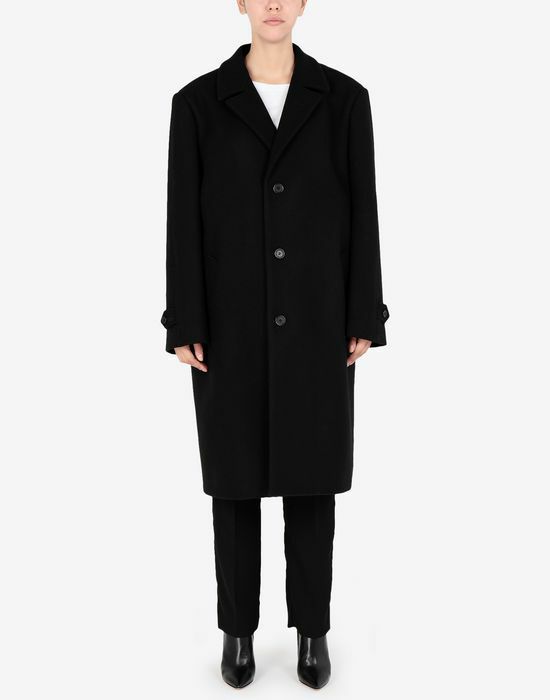 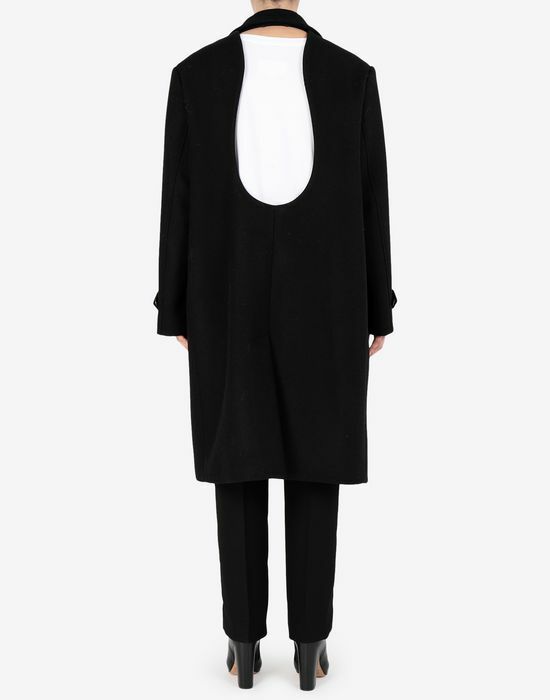 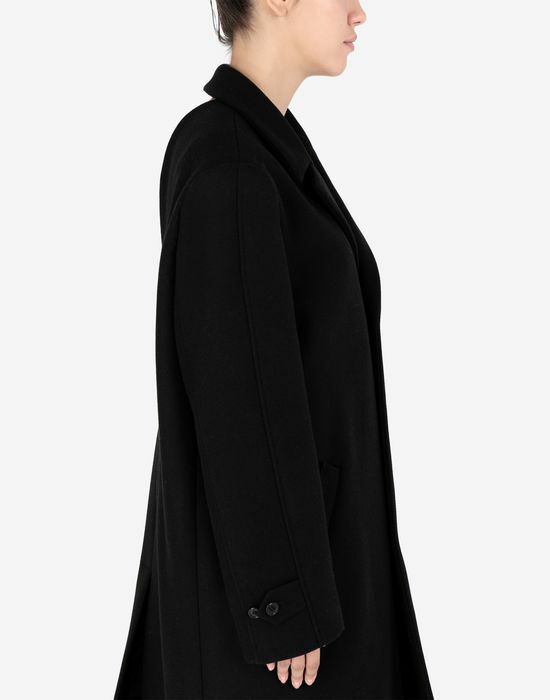 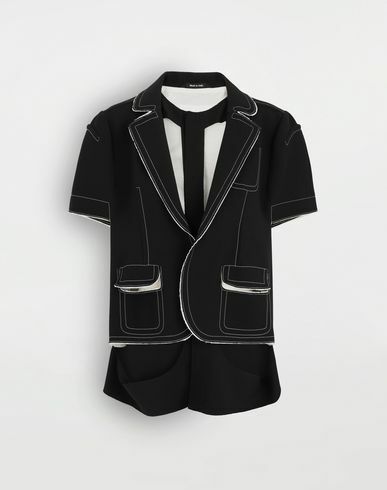 The coat has a collar and fastens centrally down the front with contrasting black buttons, which are also found on the sleeves.